Food safety advocates say a guilty verdict in a rare federal food-poisoning trial should send a stern warning to anyone who may be tempted to place profits over people’s welfare. More than five years after hundreds of Americans got sick from eating salmonella-tainted peanut butter, the top executive in the company that owned the Georgia plant where it was made was convicted Friday of conspiracy, obstruction of justice, wire fraud and other crimes related the nationwide outbreak in 2008 and 2009. Former Peanut Corporation of America owner Stewart Parnell, 60, could face more than three decades in prison for the outbreak that was linked to nine deaths and prompted one of the largest food recalls in U.S. history. His brother, Michael Parnell, and another co-defendant could face 20 years in prison or more. Experts said it was the first time American food processors have gone to trial on federal charges in a food-poisoning case. Food safety advocates applauded the jury verdict reached after a seven-week trial, though they also noted the case was unusually egregious. The brothers will be allowed to remain free pending sentencing if they can post bond. Federal marshals led them from the courtroom. Stewart Parnell was convicted of knowingly shipping bad peanut butter to customers who used it in products from packaged crackers to pet food. The jury also found him and his food broker brother guilty of faking results of lab tests intended to screen for salmonella. Prosecutors said the brothers used the fake results so wait times for real tests wouldn’t slow down their hectic shipping schedule to customers including Kellogg’s. Mary Wilkerson, the peanut plant’s quality control manager, was convicted of obstruction of justice for withholding information from investigators, as was Stewart Parnell. The outbreak sickened at least 714 people in 43 states by the time federal investigators traced it to Peanut Corporation’s plant in Blakely, in January 2009. The Centers for Disease Control and Prevention reported that nine people who ate the tainted peanut butter died, though it couldn’t say for sure salmonella caused each death. Federal investigators found a plant with a leaky roof, roaches and evidence of rodents – all ingredients for cultivating salmonella. Even worse, they eventually uncovered emails and records showing food confirmed by lab tests to contain salmonella was shipped to customers anyway. “Corporate officials are now on notice that they’ll be held to account for their conduct and claims of ignorance of arguments that ‘I was too busy’ or maybe that ‘I delegated the responsibility to someone else’ or even just finger-pointing in general will not be a shield from basic responsibility,” said U.S. Attorney Michael Moore, whose office in Georgia’s Middle District prosecuted the case. Defense attorneys acknowledged during the trial that the plant shipped tainted peanut butter and somebody faked lab tests. But they blamed two former plant managers who had pleaded guilty in the case. 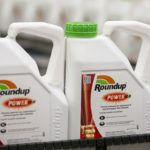 Michael Parnell’s attorney, Edward Tolley, noted his client was acquitted on about 20 counts linking him to the actual shipments of contaminated products. The Parnell brothers and Wilkerson were indicted on a total of 71 counts last year. They weren’t charged with sickening or killing anybody, but rather were accused of defrauding customers. Still, their sentences are likely to be long. Assistant U.S. Attorney Alan Dasher estimated the Parnells will likely get 27 to 33 years in prison, which would “in effect be a life sentence” for the middle-aged brothers. Wilkerson faces a maximum term of 20 years. Marshall Tousignant’s father – 78-year-old Clifford Tousignant – died in January 2009. He was sickened by salmonella from tainted peanut butter sandwiches at a nursing home. “It’s great to hear he’s not getting away with what he thought he would get away with, I guess, that justice is going to be served,” the Brainerd, Minnesota, man said of Stewart Parnell.